This model keeps accessories to a minimum to provide the highest maximum cargo capacity in the Frontier lineup. 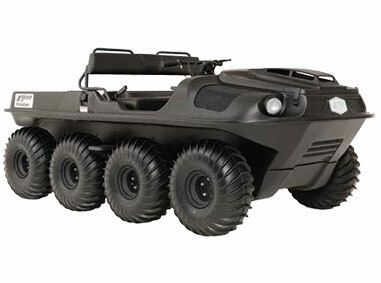 This XTV can carry up to 910 lbs., tow up to 1,400 lbs. and seat up to 6 people. It’s powered by a 23 HP air-cooled Kohler Command Pro V-twin and is available with either standard gearing for general performance or high torque gearing for handling steep climbs, heavy loads and high altitudes. This model is available in green or black.